Here’s my attempt at being an economist… let me know if this is completely unintelligible. So I’ve been thinking recently about poverty and wealth in Kenya. Nairobi is the wealthiest, most metropolitan city in Kenya (And most of Africa for that matter), complete with shopping malls, nice restaurants, country clubs and pretty much anything else you could want. It also houses the second largest slum in Africa (Kibera) and hundreds of thousands of people just barely scraping by. Further, the wealth distribution is unbelievably skewed against black Kenyans – over 90% of businesses here are owned by Indians. I’m not complaining about wealthy Indians, they are extremely industrious, smart people who have shaped the economy of this country. And I don’t think we should start an “Occupy Nairobi” campaign to redistribute wealth to black Kenyans because they’ve been oppressed by “big business”. But I do think it’s worth thinking about how to create wealth for Kenyans that often haven’t had great opportunities. We need to create jobs, as well as figure out how to motivate and empower locals so that they have the resources to take themselves out of poverty. I started thinking about this when I found out the daily wage of a houseworker in Nairobi… $5. Now it’s easy to understand that $5 a day is not much to live on, even in a developing country like Kenya. I’m not sure where our housekeeper lives but I guarantee it’s no luxury apartment. So the question is, since we have money and it wouldn’t greatly affect our budget, should we raise her wage, knowing that $5 a day is not enough to live a comfortable life? It sounds cruel but I believe the answer is no. If we paid our housekeeper above the standard wage, to be quite blunt I think we would be rewarding mediocrity. After all, the market has determined that her service is worth $5, and we would be artificially inflating her wage, not because a housekeeper is worth more than $5 but because we feel sorry for her. Eventually she would become dependent on the extra “free” money, and when we moved away she would find herself in quite a pickle. I also think paying someone more because you sympathize with their situation reinforces the wrong incentives with which NGOs and aid agencies have plagued Africa for decades. Because NGOs and government aid programs only give money to people who need it most, they are removing incentives for people to work and improve their own lives. If you can work to get yourself out of poverty or continue receiving free hound-outs, why would you get an education or find a job? I think we’re seeing a similar dilemma in the U.S. by offering excessive employment benefits and social security because unemployed Americans people “deserve it”. Now, before you come to the conclusion that I’m a heartless jerk or an abused child, I want to say that I do have empathy for people who are unemployed or trapped in poverty. I have to admit that I come from an upper-class, privileged lifestyle and I haven’t had to, nor will likely ever have to work for $5 a day. However, most people would agree that governments and businesses can’t run on charity. We have to think of creative solutions to create wealth rather than continue to fund Africa at great cost to all parties involved. What are exactly are those solutions? I’m glad you asked. 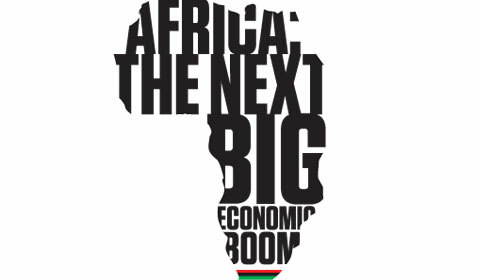 The #1 solution to poverty in Africa has to be job creation. Jobs will provide sustainable, profitable livelihoods to people, train them in certain skills, and give them hope for a better future. But there’s another reason to create jobs: supply and demand. As long as 40% of Kenya remains unemployed (CIA World Factbook), there will be millions of workers willing to take our housekeeper’s place, even at a measly wage of $5 per day. However, the more people are employed, the harder it becomes to find a good housekeeper, and the more we will be wiling to pay them for their services. As you can see, job creation is good as a means in and of itself, but also raises average incomes in developing nations by decreasing the supply of cheap labor. I have to admit that this is very theoretical and sounds good on paper. Actually starting businesses and creating jobs is a much harder, longer task that will take decades to accomplish. And if you’re coming from the context of the U.S., multiply the challenges of creating a company by ten and you’ll have a good picture of how difficult it is to begin a profitable, efficient, and ethical business in Africa. Nevertheless it’s worth the challenge because the potential benefits are enormous. I have to admit that a lot of my thinking derived from a book titled “The Undercover Economist“. It’s a great application of economics to everyday life and an interesting read. This entry was posted in Economics and tagged Africa, Economics, Kenya, Nairobi, Thoughts by Daniel. Bookmark the permalink. Here’s an interesting video on income distribution and it’s effects on society. I thought this was kind of interesting in relation to what I wrote in this blog post.